The 35th annual North American Labor History Conference will be held October 24-26, 2013 at Wayne State University in Detroit, Michigan. The theme of this year's conference is Geographies of Labour. For more information, check out the conference website: http://nalhc.wayne.edu/. This year marks the 5th anniversary of the Canadian Labour International Film Festival. Screening films by and about workers, the festival runs in various cities across Canada throughout the fall. The devastating collapse of the Rana Plaza building in Bangladesh earlier this year resulted in the deaths of hundreds of garment workers. These workers often toil for long hours in dangerous conditions in exchange for low wages. 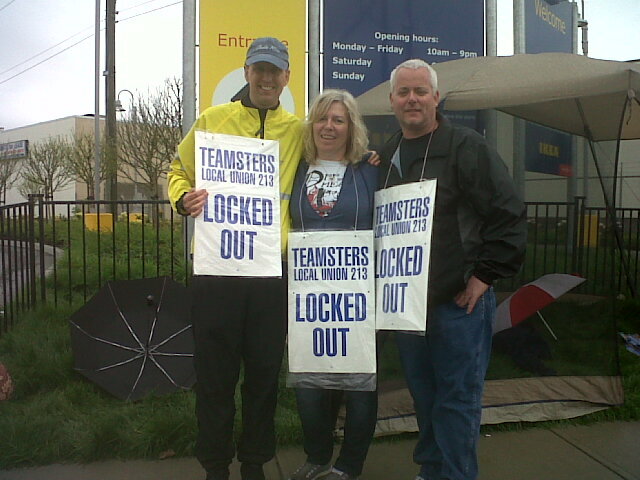 In May 2013, IKEA locked out over 300 members of Teamsters Local 213 who work at the store.